Is NHS rationing a possibility? Money, money, money - it's a familiar background theme across the NHS in England, but the volume is increasing. Campaign funding promises have been made but whoever forms the next government will find some challenging financial issues highlighted in their ministerial red boxes. This week, reports of a tightening of the financial thumb screws have emerged. There is talk of rationing and, as one source told me, "unpalatable things" being contemplated by hospital managers and local health commissioners. 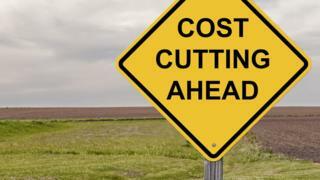 Under what's been billed as a "capped expenditure process", NHS England and the regulator NHS Improvement are telling some trusts to stick within spending limits even if that means tough decisions on the provision of non-urgent care. The new pressure on hospitals and local health commissioning groups in England comes after some trusts overshot agreed spending targets during the last financial year. Since the start of this year, from the beginning of April, it has become clear that the biggest over-spenders have been unable to agree their so-called "control totals". They have now been told to take firmer action to keep a grip on spending. The Health Service Journal (HSJ) reported that NHS officials have contacted health managers in 14 areas of England with a series of proposals for controlling budgets. These include extending waiting times for routine procedures and treatments, downgrading certain services and limiting the number of operations carried out by the private sector for the NHS. HSJ first revealed the tougher spending regime in April, quoting from a letter sent to those local health leaders who could not agree their budgets. They were asked to decide "from which areas further expenditure reductions will be made", including reviewing the range of medicines prescribed. Interestingly, the letter and subsequent dialogue has been with both commissioners, who can limit what they are prepared to pay for, and trusts who might save money by curbing the volume of non-urgent care provided to patients. There was a clue to this tougher approach in the update to the NHS Five Year Forward View plan, published at the end of March. The finger is pointed at those organisations which had historically substantially overspent their "fair shares of NHS funding". They are accused of "living off bail-outs" taken from other services. They are then told to confront "difficult choices" and if necessary "scale back spending on locally unaffordable services". An NHS England spokesperson said no final decisions had been made and when final choices were made locally they would need to be approved nationally. But there was no denying the fact that in some areas hospital managers and commissioners were being told to go further than before to keep a lid on spending. The background to this is that NHS England is receiving a much smaller budget increase this year than in 2016/17 which, though originally billed as a generous "frontloaded" settlement, appeared to only just cover what the service needed. Patient demand will continue to outstrip the money available with the financial pressure even more intense this year. Those who see the NHS as a bottomless pit always requiring more money to be poured in will call for more efficiency savings before another bailout is contemplated. Those who argue that the NHS has been underfunded for some years, with the share of national income devoted to health lagging behind other leading economies, will say the only answer is higher levels of government funding. It's a familiar debate and one which won't go away after polling day. The three main health think tanks, The King'sFund, Nuffield Trust and the Health Foundation, wrote a joint letter this week arguing that no political party was offering enough extra spending to cope with the demographic and demand pressures on the NHS. They estimated that an extra £20 billion annually would be needed by 2022 over and above the most generous manifesto pledge. The think tanks argue that failure to provide sufficient funding will result in longer waiting times for patients and a decline in levels of care. Recent reports indicate NHS chiefs are already planning for that to happen.